formatted threaded comments and simple look. Excellent layout for blogs about any general topic, internet or photography. 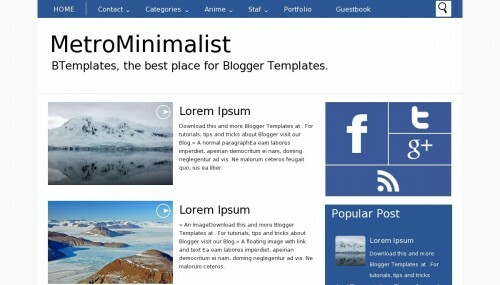 Posting Terkait "Template blogger MetroMinimalist"